No medium has the power to connect with, excite, and engage an audience more than video. Our high-quality promotional and recruitment products have been used internally and around the world to enhance the awareness and reputation of Red River College. eTV facilitates internal communication with streaming services that allow staff in numerous locations to participate in activities on and off campus. 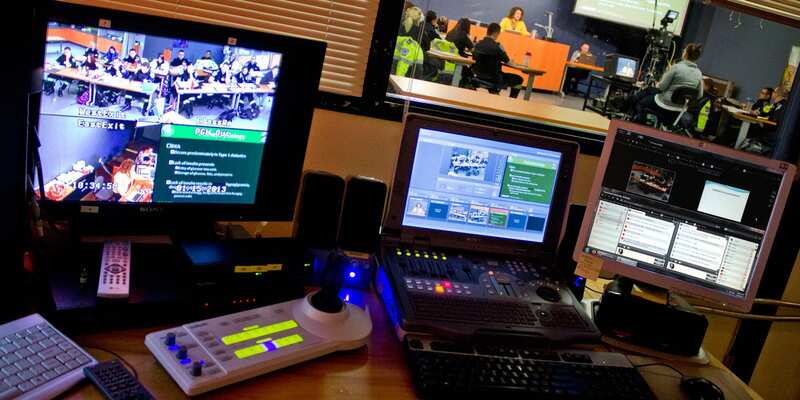 Our mobile production capabilities allow us to stream events from anywhere at any time. Archived, on-demand access ensures convenient availability of all recorded events.